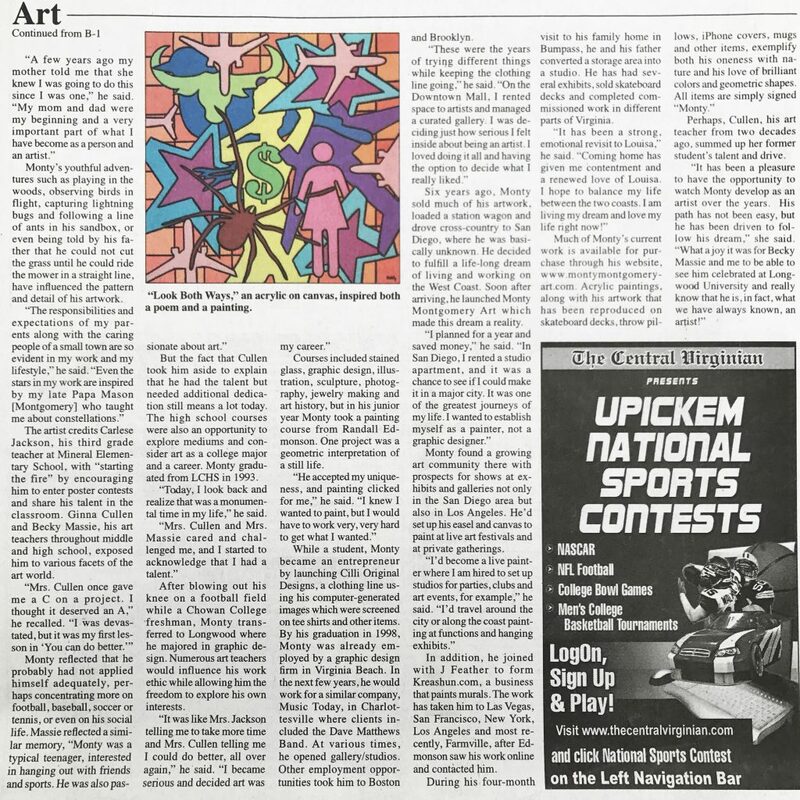 Thanks to Arts & Activities and Don Masse for the feature on the Zamorano mural project with many of his students. 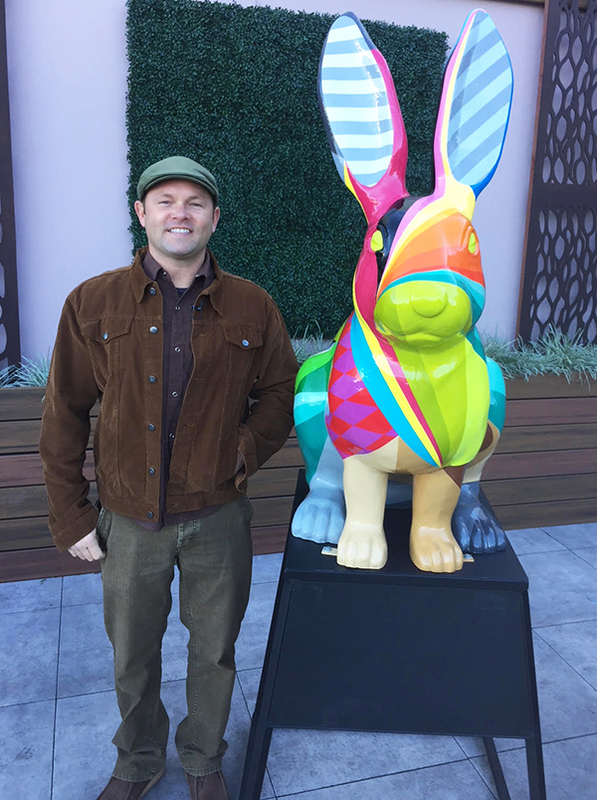 Arts & Activities Contributing Editor, Don Masse is a K-5 visual arts teacher at Zamorano Fine Arts Academy in San Diego, California. 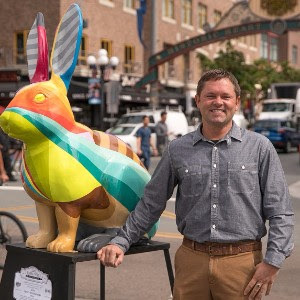 At the recent NAEA national convention, Don was named the 2018 Pacific Region Elementary Art Educator of the Year. 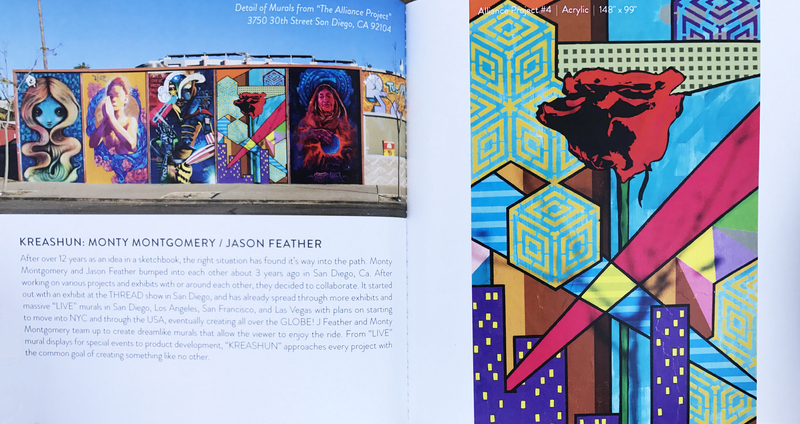 Thanks to the SD Voyager Magazine for including KREASHUN in the current feature on various local artists in San Diego, California. On the SD Voyager site, you can find it in the Inspiring Stories series at the top of the homepage as part of the North Park, South Park, Kensington & Normal Heights collection. 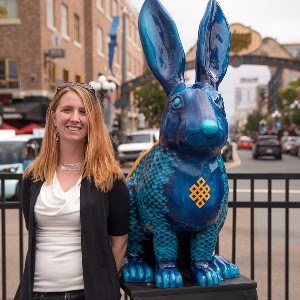 SAN DIEGO (NEWS 8) — Prior to 1867, the area which today makes up downtown San Diego was jokingly known as “Rabbitville.” In those early days, although they couldn’t seem to get the city built, they were successful in making a great habitat for the local rabbit population – hence the nickname. 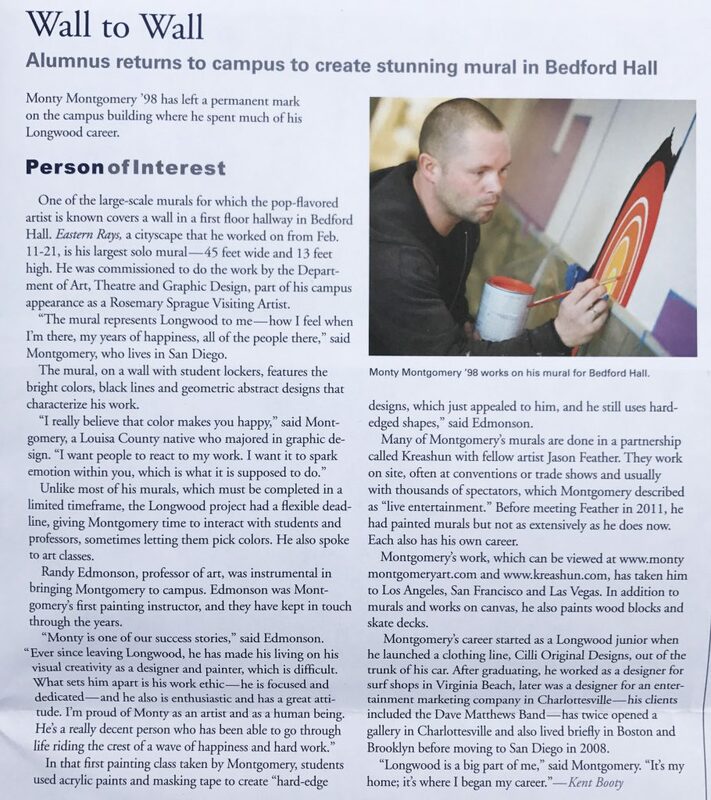 Thanks so much to Kent Booty and Longwood University for the article on the 75 feet wide by 8 feet tall “Moment #42” Nature Series mural permanently installed in one of the main hallways of Dorrill Dining Hall which was completed in August 2017. It is always an honoor to return to my Alma Mater to create! I hope all of you enjoy the mural for years to come. Monty Montgomery paints “Moment #42” in Dorrill Dining Hall at Longwood University (photo by Jessica Lapp). 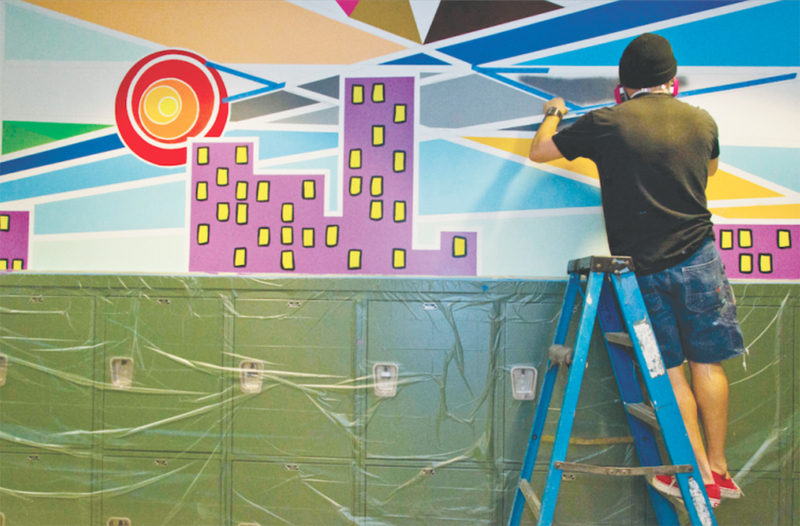 A Longwood University alumnus has nearly completed a new mural in the university’s Dorrill Dining Hall. 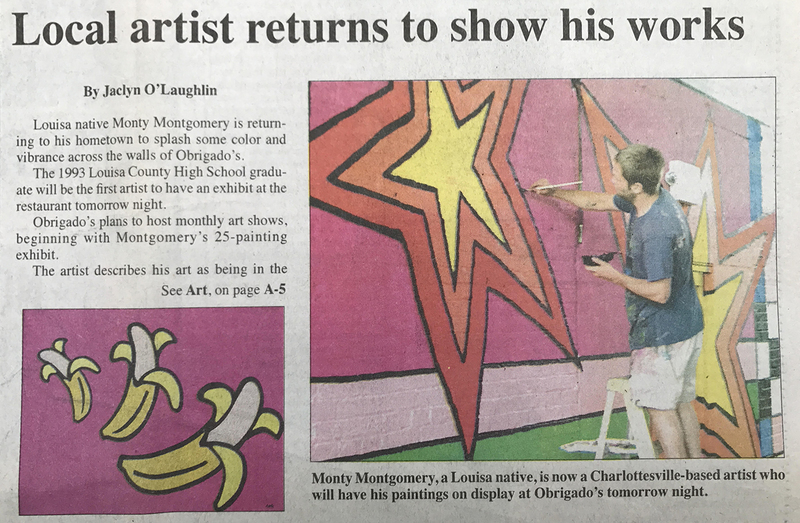 Monty Montgomery, 42, who graduated from Longwood in 1998, has painted three other murals in Farmville. 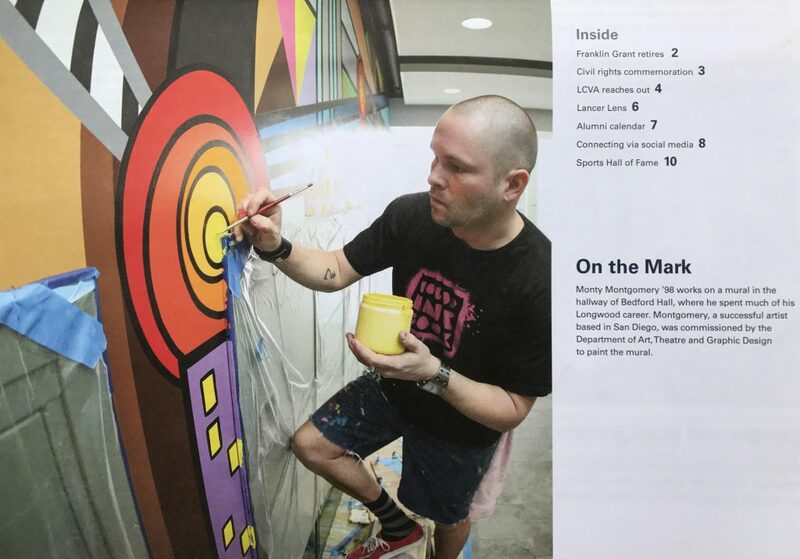 “I was commissioned by the (Longwood) Art Department to come back in (2014), and I did a 50-foot mural in the main lobby of Bedford Art building,” Montgomery said. 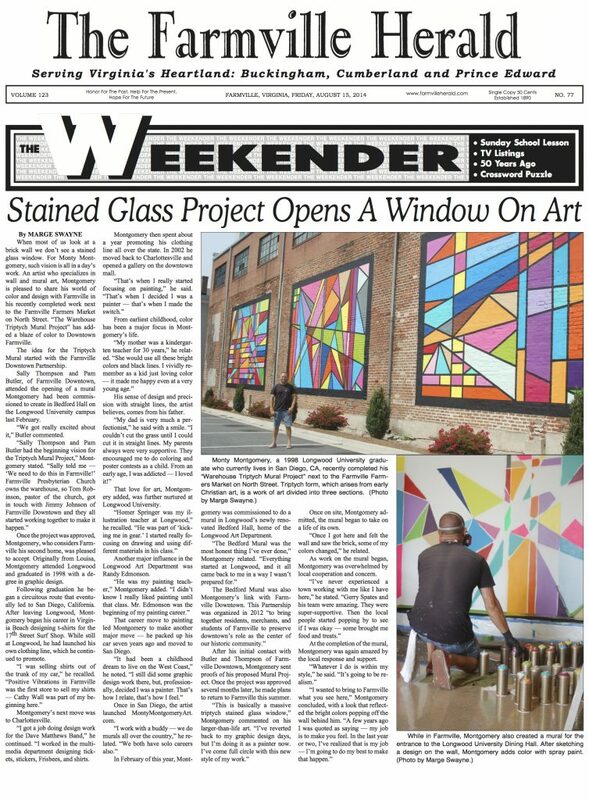 He said he was commissioned by the Downtown Farmville Partnership to paint the mural by the town’s farmer’s market. Montgomery’s third mural was also in the Dorrill Dining Hall. 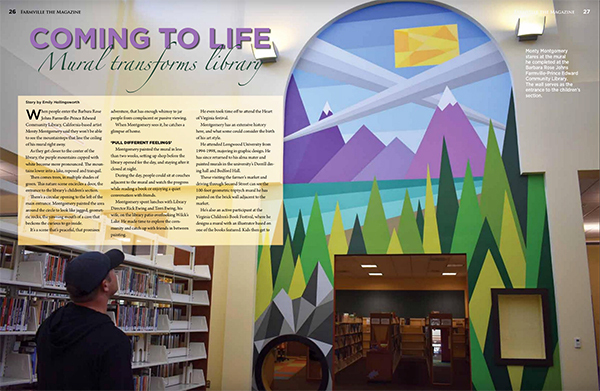 “I did a 10-foot by 10-foot kind of geometric mural at the main entrance of (the building) that faces Brock Commons,” Montgomery said. His latest piece, titled “Moment #42,” which is part of his nature series, is a 75-foot long by 8-foot tall painting that is a geometric nature artwork. “Basically I take photographs and then sketches from when I’m, you know, sitting in the park,” Montgomery said. 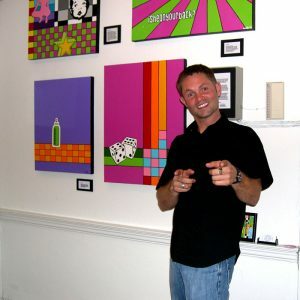 He said he takes his sketches and photographs of nature and puts them on a wall in his style that looks like “old Atari games.” Montgomery said his nature series features pixelated trees and clouds. 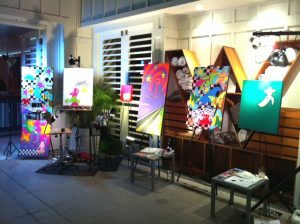 Montgomery said his passion for art began during his childhood. 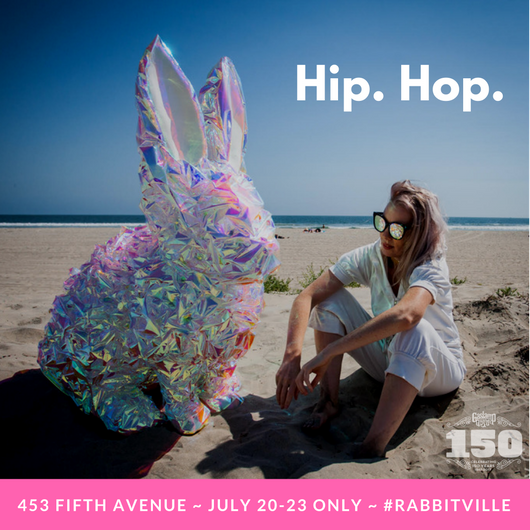 Visit gaslamp.org/150 for more information about Rabbitville, the Hop-Up Gallery and other anniversary events. 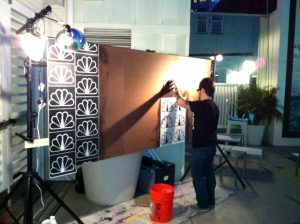 Artist Monty Montgomery at work in San Diego. Artist Monty Montgomery is sitting in Whistler Olympic Plaza, enjoying the sun and thinking about getting lunch. The painter has just arrived after driving north for several days from his home in San Diego. It’s his first-ever time at the resort, but he comes for a good reason — he is part of the latest show at The Gallery in the Maury Young Arts Centre, called Lines and Shapes. “I just parked and got here and literally sat down five minutes ago,” Montgomery says. He was invited to Whistler by local artist and the show’s curator, Arne Gutmann, who knew Montgomery’s style would fit in perfectly with Gutmann’s work and that of the other participating artists Anne Popma, Andrea Mueller, Davin Peterson, Dave Petko, Doerthe Barker, Hayley Wirsching, Penny Eder, The Incredible Amoeba, Stan Matwychuk, Scott Stephenes and Randal Smith. “I had told Arne that someday I would make it here. I grew up on in the East Coast, in a cabin my parents built in the Blue Ridge Mountains in Virginia, it was a childhood dream to live on the West Coast so in 2008 I shut the galleries I worked at down, had a big show, packed my car and drove to San Diego,” Montgomery says. The aim when he left Virginia for San Diego was to see if he could make it as an artist in a city where he didn’t know a soul — it worked out well, and these days he ping pongs between the two coasts. Being willing to challenge himself this way also shows in his visit to Whistler. 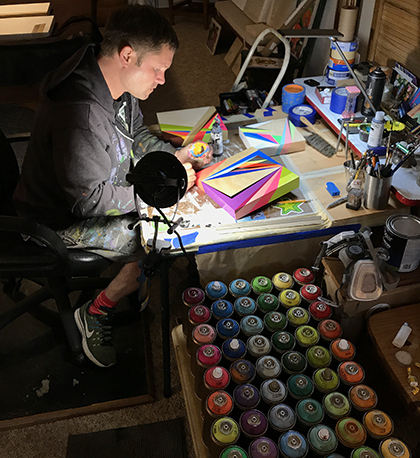 The five new paintings Montgomery brought will him are typical of his colourful, hard-lined pieces and come from his Fractal Series of paintings, started in 2016. “There aren’t tons of circles (something he is known for), but they are line based. 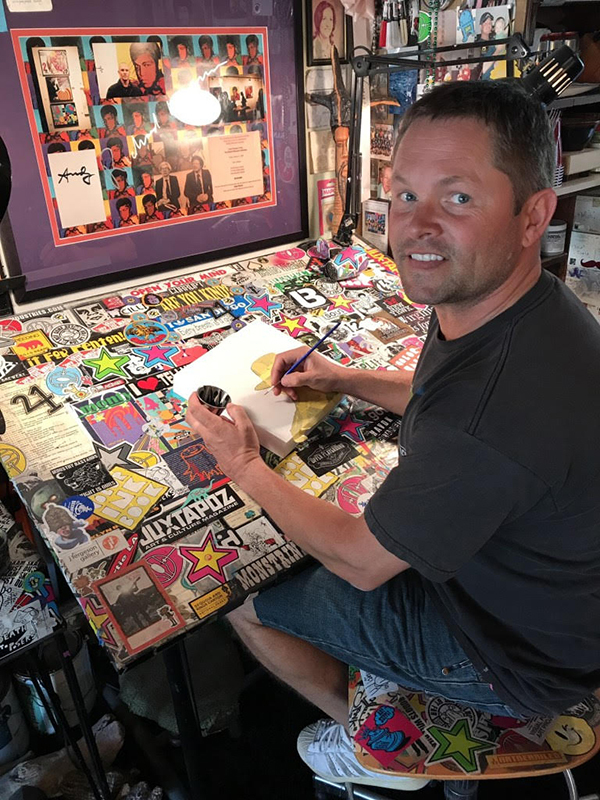 Arne said it was cool because the other artists would use shapes I don’t have,” he says. “If you look at my portfolio, my work is constantly changing and emerging. Lines and Shapes runs from July 15 to Aug. 21, and opens with a reception on July 17 at 8 p.m.
Montgomery says nature is becoming more prominent in his work, and this is making him revert back to his childhood experiences. “Some of the deep greens and greys in the Fractal Series, a lot of energy, is based on natural relationships with colour,” he says. Gutmann says the show basically came about thanks to Montgomery and Facebook. “He became a friend of mine thanks to mutual friends and I liked his work, it’s vibrant and unusual and eclectic. He found out I lived in Whistler and he was very desirous of coming up here,” Gutmann says. “I hadn’t done a show in ages and I thought why not curate one around his style. Very simple and very colourful, I like the colour aspect of his work. “I thought it would bring something out in the other artists that they’re not used to. I have Anne Popma and Penny Eder in it, and they aren’t usually abstract in style. It pushes everyone a bit. 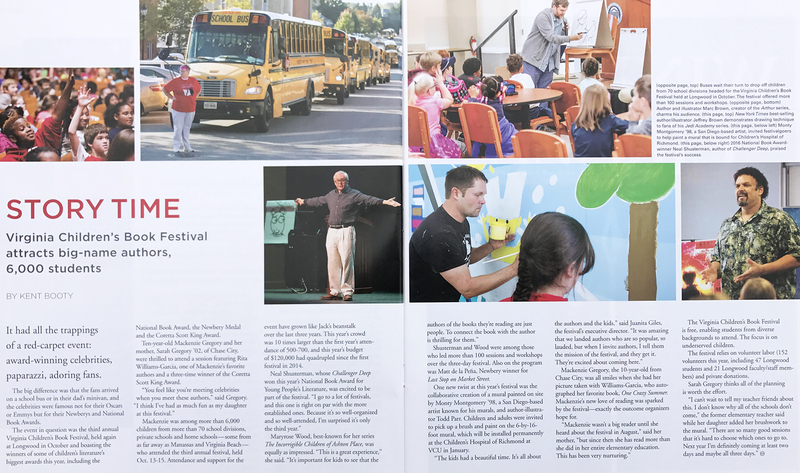 Thanks goes out to “Farmville the Magazine” for the website feature on the Virginia Children’s Book Festival in Farmville, Virginia. Over the three day festival we created a “LIVE” mural using many of Todd Parr’s characters combined with a feel of my various series of works. 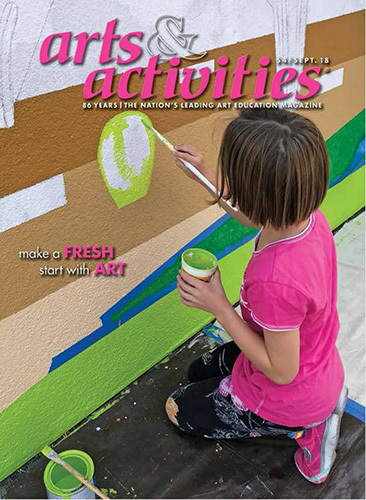 The mural is featured avove and is titled, “BE WHO YOU ARE”. The coolest part of this mural is that the kids and adults at the festival created with us. A total group effort which will bring a positive message for our youth and be filled with amazing energy for everyone. 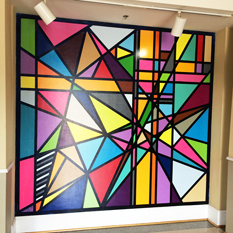 The “LIVE” collaborative mural came to life in the main gallery of Bedford Hall October 13th through 15th 2016 on the Longwood University campus. The mural was displayed at Centra Southside Community Hospital for a couple months and will now be dedicated to Virginia’s children at it’s permanent home, the Children’s Hospital of Richmond. It was so awesome creating with kids from all over the map. The VCBF is always looking for helping hands, physically and financially. Their mission, as Juanita Giles, executive director, reminds us ‘is to create a culture of literacy in our region in particular and our Commonwealth at large. Thanks so much to Longwood University for hosting the 3 day event and to all the folks that attended. 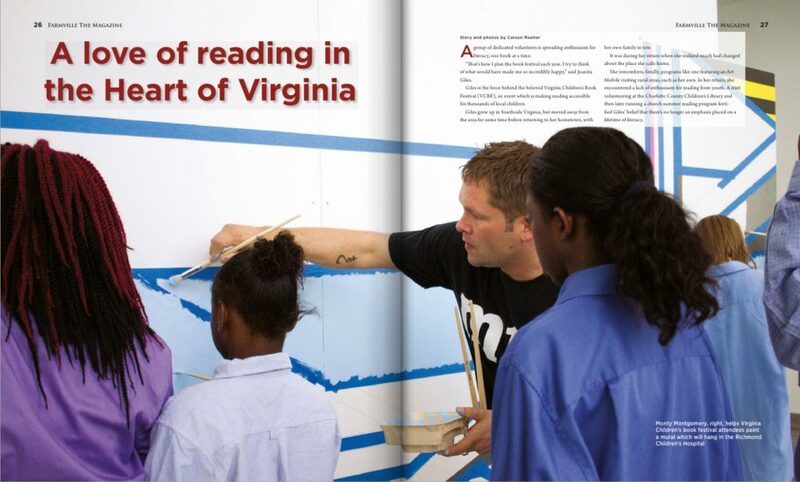 Much appreciation to Longwood Alumni Magazine for the outstanding article featuring so many great moments with kids from all over the state of VA. 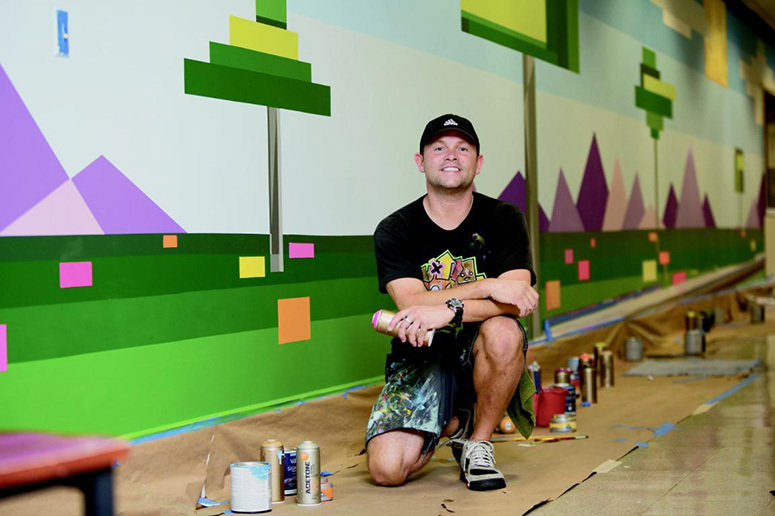 The “BE WHO YOU ARE” mural is permanently installed at the Children’s Hospital of Richmond in Richmond, Virginia. The Virginia Children’s Book Festival is such a powerful festival which is growing every year! I look forward to all the creative moments ahead shared with so many wonderful individuals. Thanks goes out to my Longwood University Family for the website feature on various projects around Farmville, Va in 2014. 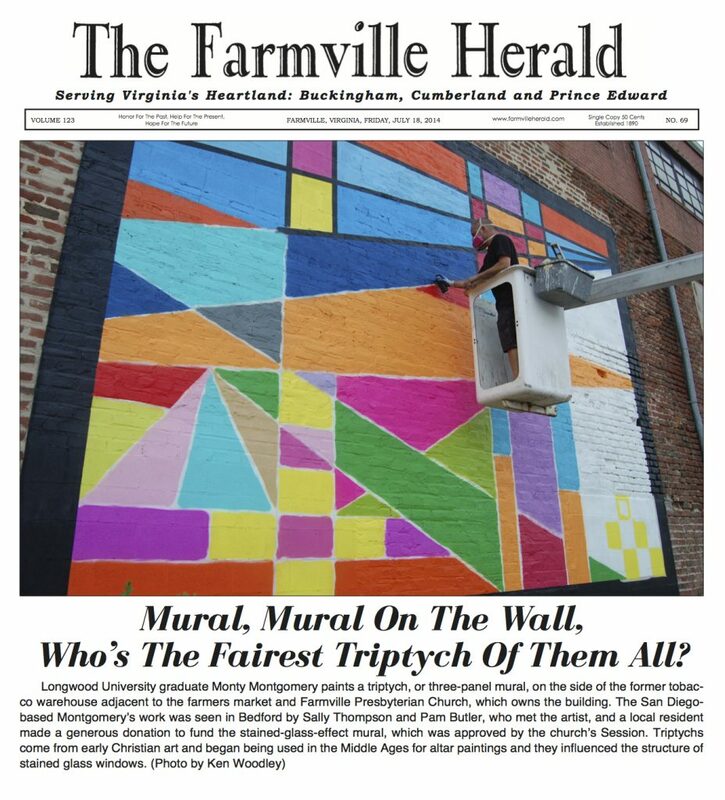 Featured above is the “Warehouse Triptych Mural Project” in the Downtown District and the “Fractal Series Mural” in Dorrill Dining Hall at Longwood University. 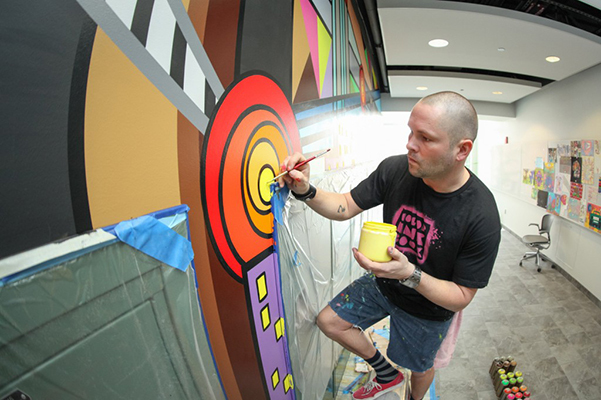 "WALL TO WALL" Alumnus returns to campus to create stunning mural in Bedford Hall. Many Thanks to Longwood University for the feature article in “ON POINT”, Summer 2014 Alumni Newsletter for the University. Special Thanks to Kent Booty for all of his writing and talent towards bringing this article to life and to Andrea Dailey for all the photography. Monty Montgomery ’98 has left a permanent mark on the campus building where he spent much of his Longwood career. One of the large-scale murals for which the pop-flavored artist is known covers a wall in a first floor hallway in Bedford Hall. 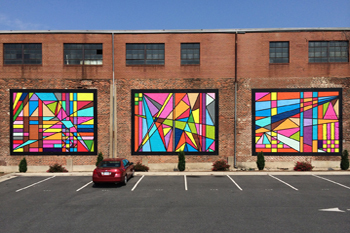 Eastern Rays, a cityscape that he worked on from Feb. 11-21, is his largest solo mural—45 feet wide and 13 feet high. 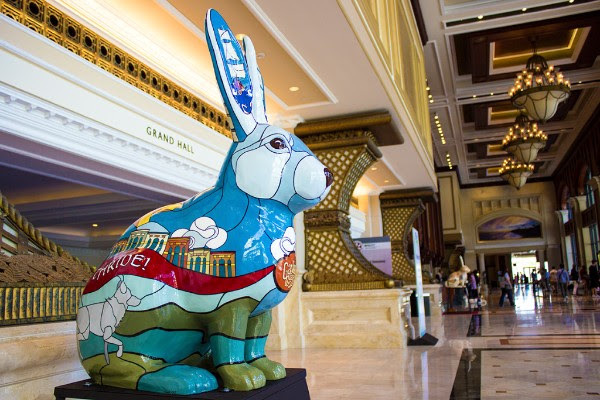 He was commissioned to do the work by the Department of Art, Theatre and Graphic Design, part of his campus appearance as a Rosemary Sprague Visiting Artist. 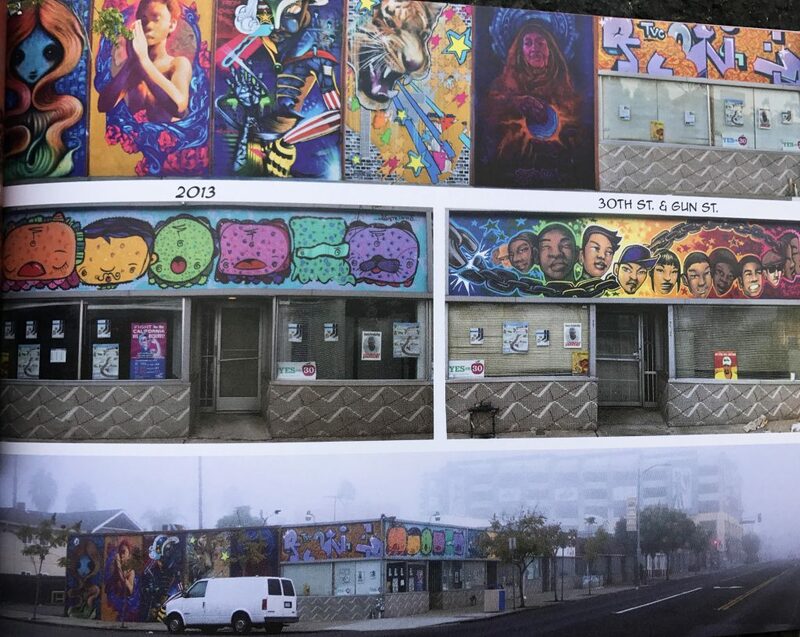 “The mural represents Longwood to me—how I feel when I’m there, my years of happiness, all of the people there,” said Montgomery, who lives in San Diego. 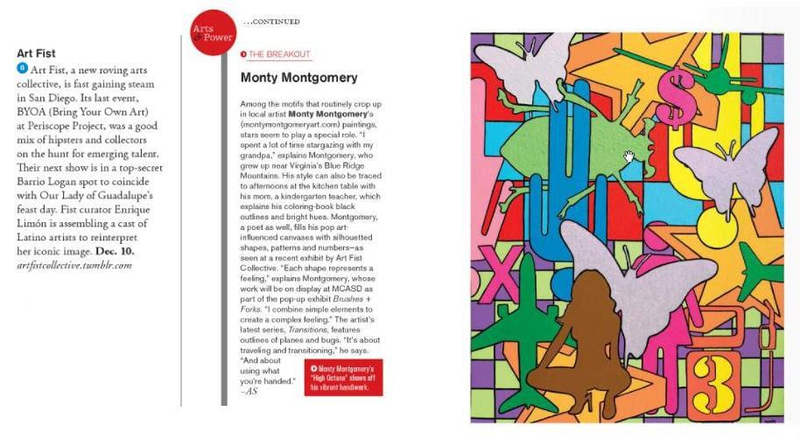 Montgomery’s work, which can be viewed at www.montymontgomeryart.com and www.kreashun.com, has taken him to Los Angeles, San Francisco and Las Vegas. 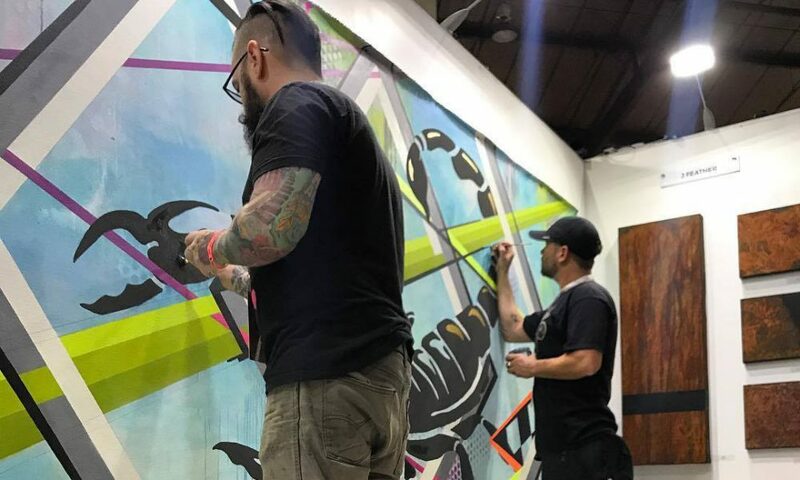 In addition to murals and works on canvas, he also paints wood blocks and skate decks. Montgomery’s career started as a Longwood junior when he launched a clothing line, Cilli Original Designs, out of the trunk of his car. 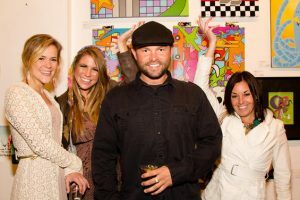 After graduating, he worked as a designer for surf shops in Virginia Beach, later was a designer for an entertainment marketing company in Charlottesville—his clients included the Dave Matthews Band—has twice opened a gallery in Charlottesville and also lived briefly in Boston and Brooklyn before moving to San Diego in 2008. Thanks to the San Diego Reader for the feature. 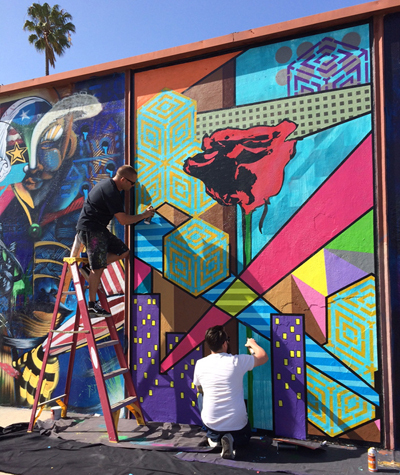 The restored mural is among others created by eight California artists, including Miguel Godoy of San Diego. The original project was completed in October 2012. All Artists will continue to try and keep the pieces crisp and full of LIFE! Thanks to “The Rotunda” staff and everyone at Longwood University for the cover story in the February 20, 2014 issue. It was a super cool visit to my Alma Mater at Longwood University and I will surely miss such a special place. Thanks so much to all the Staff and Students for making this mural so meaningful and my time at Longwood will never be forgotten. 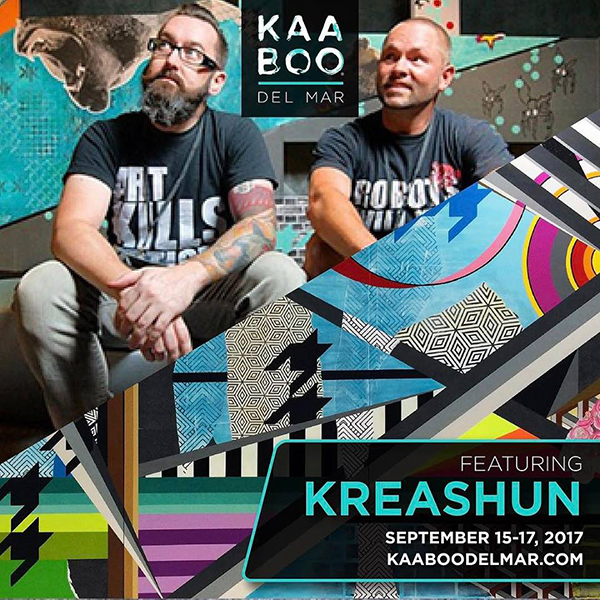 Thank you to Ann Berchtold and the ART SD 13 team for having Kreashun as part of this awesome contemporary art fair right here in our home town of San Diego. It’s an honor to participate in the powerful event and represent our city “LIVE”! 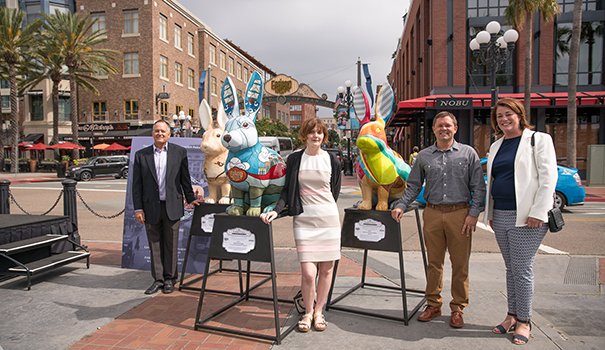 ART SAN DIEGO 2013 with presenting sponsor UBS Financial Services presents it’s 5th Edition. 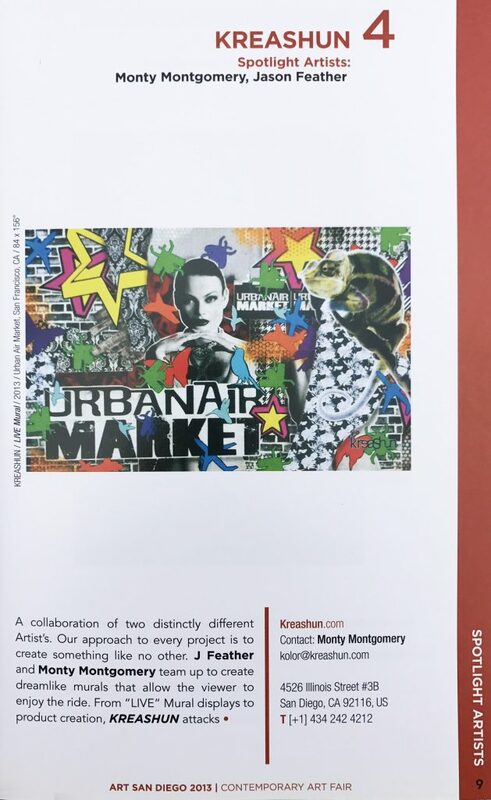 The theme of this year in [ COLLIDE] which comments on different types of creative intersections – cross-disciplinary, cross-national, from art to film, from street to urban – and how they manifest in both a visual and social setting. Graffiti Beach Magazine reveals emerging creatives around the globe. 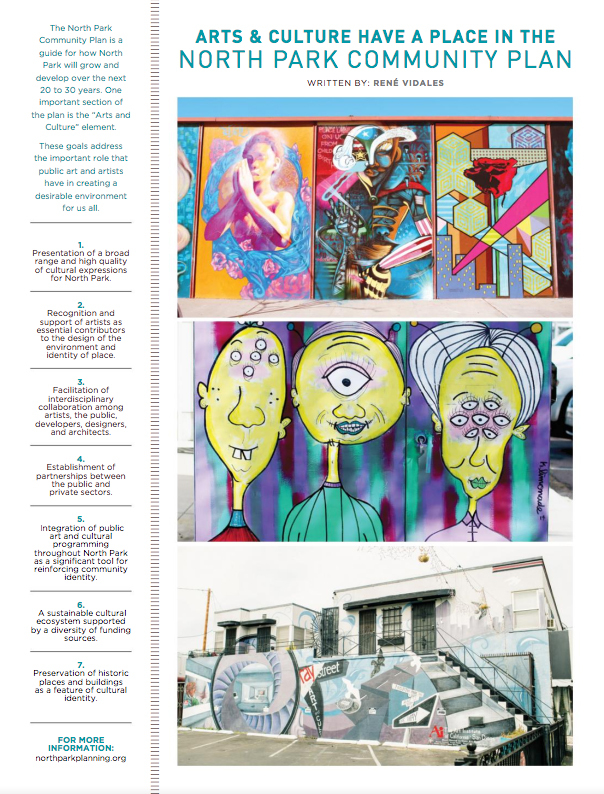 This issue is our Street Art Edition which focuses on showcasing unconventional street art methods and artists. 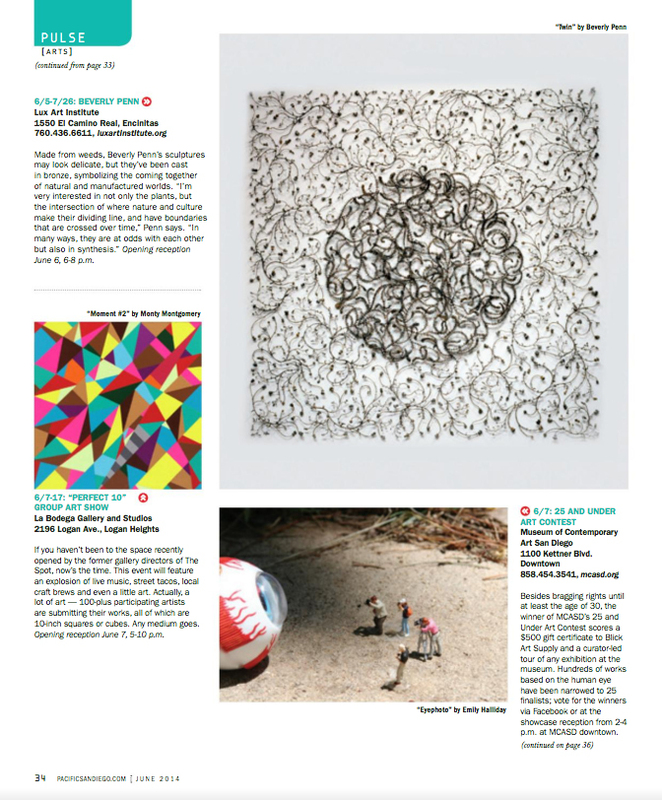 Thanks to Melanie Michaud and the Graffiti Beach crew for featuring Kreashun in the webzine. 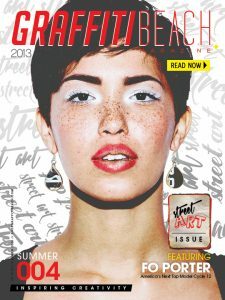 Check out the newly released digital issue of the “Graffiti Beach Magazine” Street Art Issue 2013. 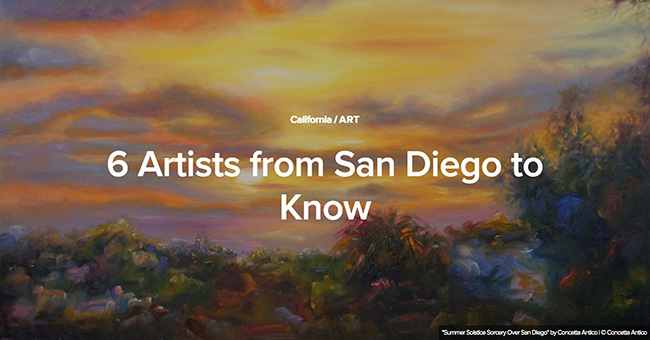 View some of the work on the streets around San Diego, Ca. 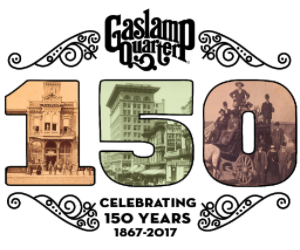 by PERSUE – GLOW – KREASHUN on pages 136-149. 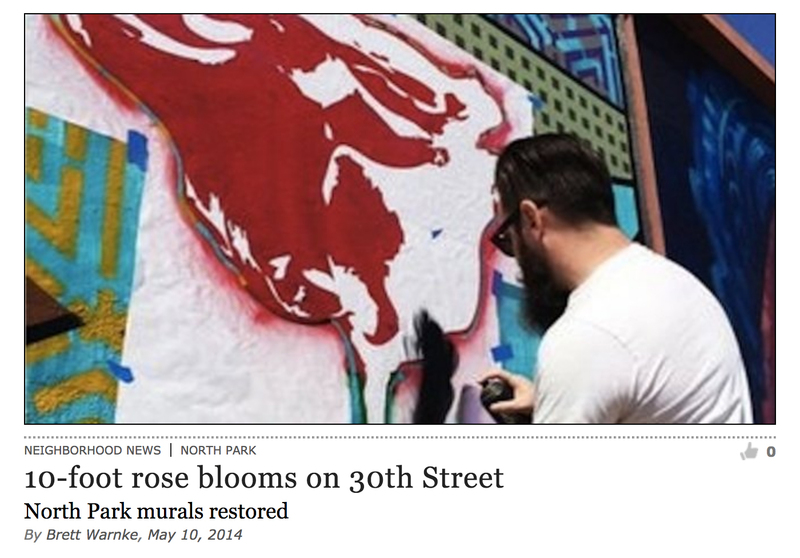 Thanks to Jenny and Nicolas for the feature in San Diego Murals. 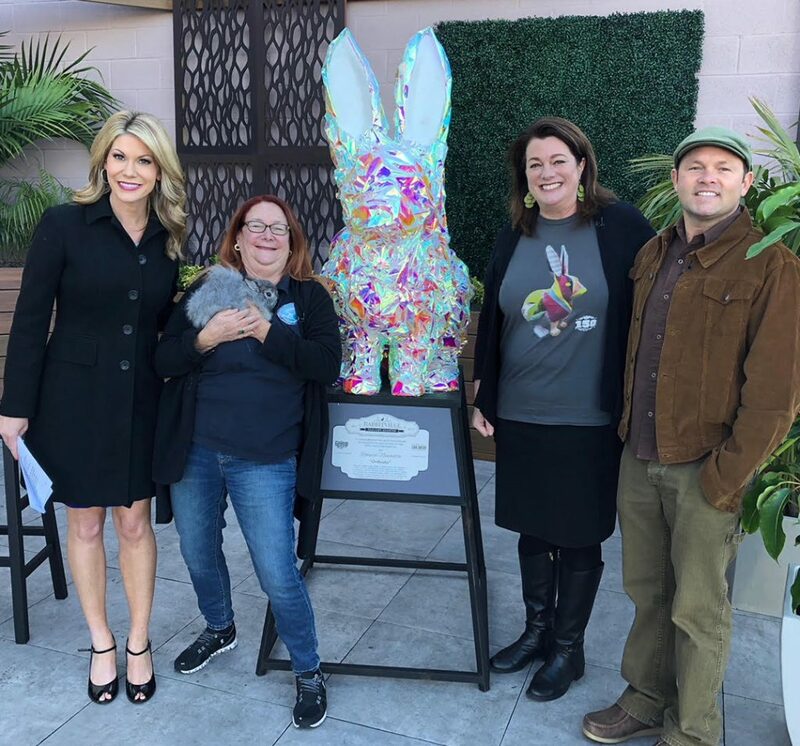 It was an honor working with so many San Diego friends on this project for the kids of our community. Nothing like giving back! Special Thanks To: Maxx Moses/POSE2, WERK, SURGE, CROW, RAIN, PURSUE, GLOW, MONSTRINHO, TVC CREW, AWR, REYES, STEEL, MSK, EYE MAX 3D, MUNK, SLICK, KUYA, BRISK, CIRE, FEVER, and all other artists who contributed to this series. Paintings featured in #5 issue of "InPrint Magazine"
I currently have 5 paintings featured in “InPrint Magazine” issue #5* -Download and check it! *InPrint is a bi-monthly online PDF Magazine project which main goal is to show contemporary visual arts to a wide variety of audience. – The author’s intention is to publish the works of modern designers, fine artists and illustrators all over the world. Thanks to Mike for the mention in his blog. 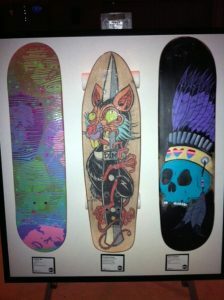 Check out “We Love Creativity” & the work of fellow artists for the “EIGHTH PLY” group skate deck get down at the Hard Rock Hotel and the “Emperors New Clothes” at JETT Gallery with NEKO, Adam, etc. It was a great night with friends and exhibits all over Diego. 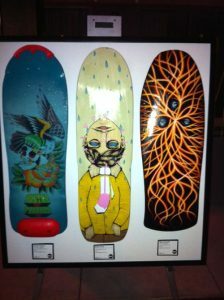 The “8 PLY” exhibit will also take the stage at “MAGIC” Tradeshow in Las Vegas. Bailey Mobley of PROXART rolled by the studio to do an interview and take some pics of what’s poppin’ with new works and upcoming exhibitions. 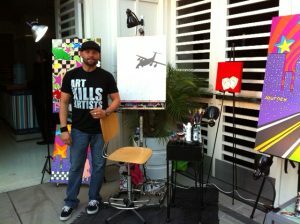 PROXART promotes the urban vibe to folks outside of the major city of San Diego! Check it on the Proxart site. 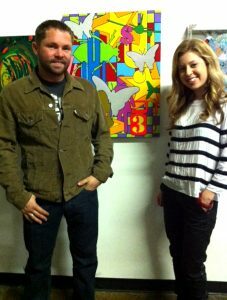 Bailey rolled out to hang at the Cannibal Flower Group Exhibit in Los Angeles over the weekend. The full article is now LIVE on the Proxart Website. 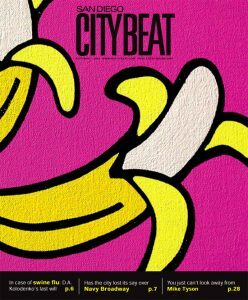 Thanks to the San Diego “CITYBEAT”. 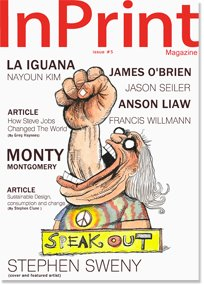 It was am honor for my artwork to hit the Cover of the Magazine on the October 7, 2011 Issue. One of my original acrylic works on canvas titled, “Going Bananas” was featured. There was a web article and photo with a little story on the path. 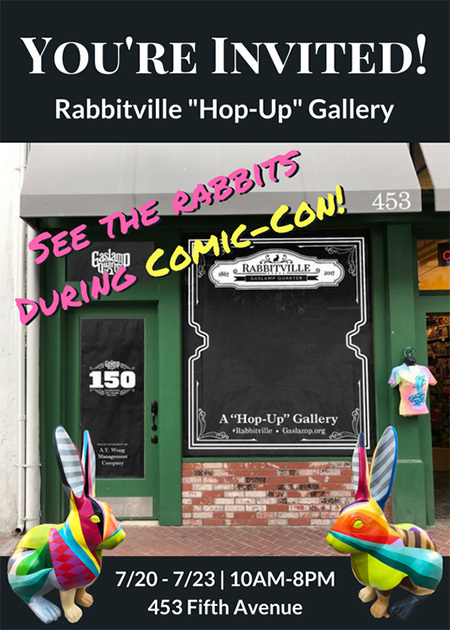 The magazine was distributed all over the City of San Diego, California. 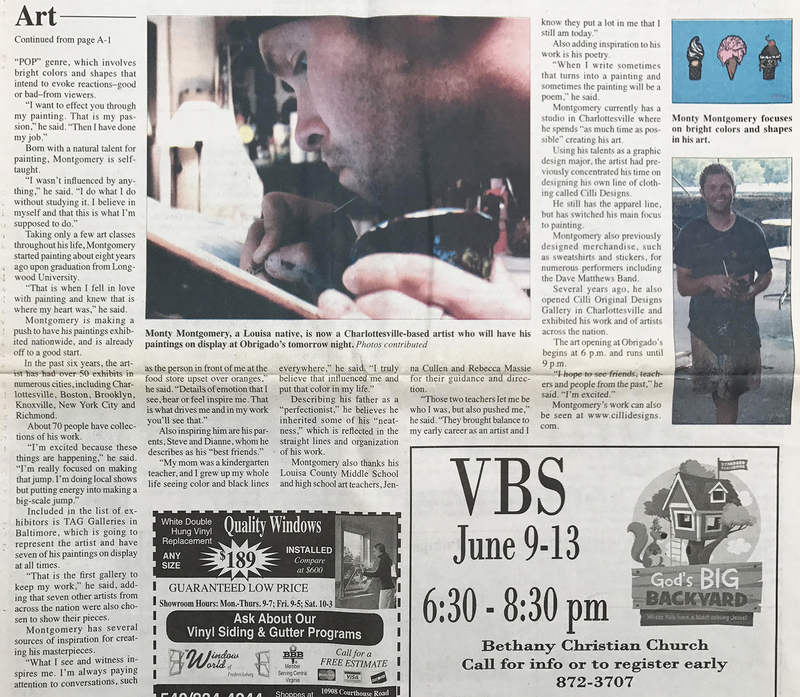 Thank you to everyone at The Central Virginian for the feature in my “Home Town” Newspaper. Go Lions! C-Ville Weekly Arts Magazine voted "Best Artist"
I wanted to take a minute and say thanks so much to C-Ville weekly for an awesome “Best of C-Ville” party and to the City of Charlottesville, Va. for all of your votes that enabled me to pick up “Best Artist”. I am very honored to be selected and appreciate all of your support. Without the energy from everyone in the community I would have never been able to create and see the way I do. I will continue to do all I can to build the arts in Charlottesville, Virginia. 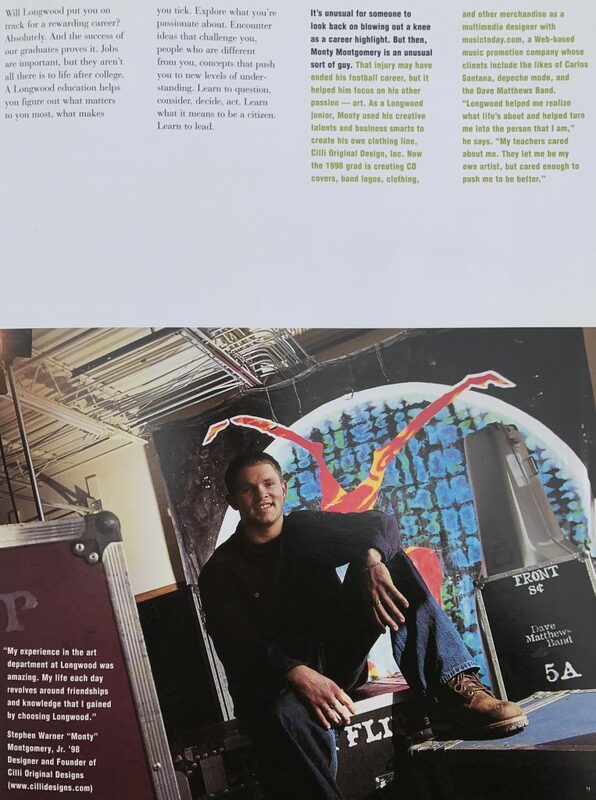 Thanks to “The Longwood Viewbook” staff and everyone at Longwood University for the feature in the Fall 2002 issue. It was an unforgettable experience through my years at Longwood and I look forward to all the moments ahead when I return to visit the campus and town that I love so much!